This Down to Earth Woodworker column first appeared in the June 2014 issue of Wood News. To see the rest of the issue, CLICK HERE. 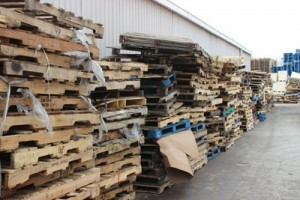 Recycled pallet wood is beginning to be a popular source of wood for projects these days and there are several companies like World Wide Box & Packaging Corp. that sell recycled pallets that have been “repaired” to work like new. This month, Steve took a tour of this company and shares with us some facts and insights into the real world of pallet manufacturing. CLICK HERE to read more about pallet recycling and manufacturing, and take a tour of the World Wide Box & Packaging Corp.